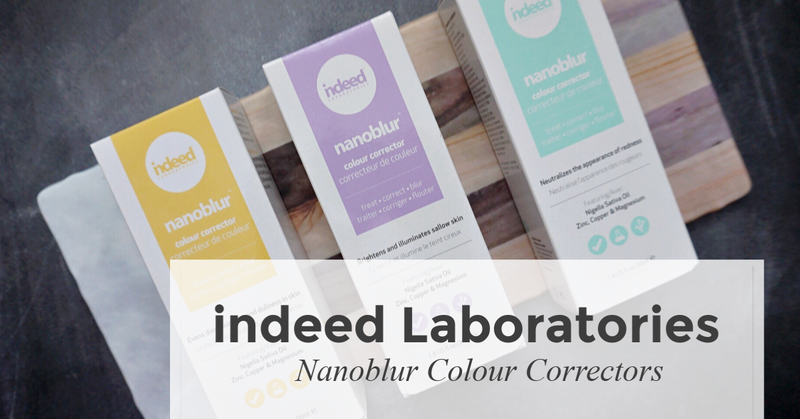 The original nanoblur from indeed Laboratories has recently added three new items to their existing line-up, the colour correctors tinted in shades of yellow, purple and green. Think of these as both a skincare and make-up product as it works to treat, blur, correct and also prime the face at the same time. 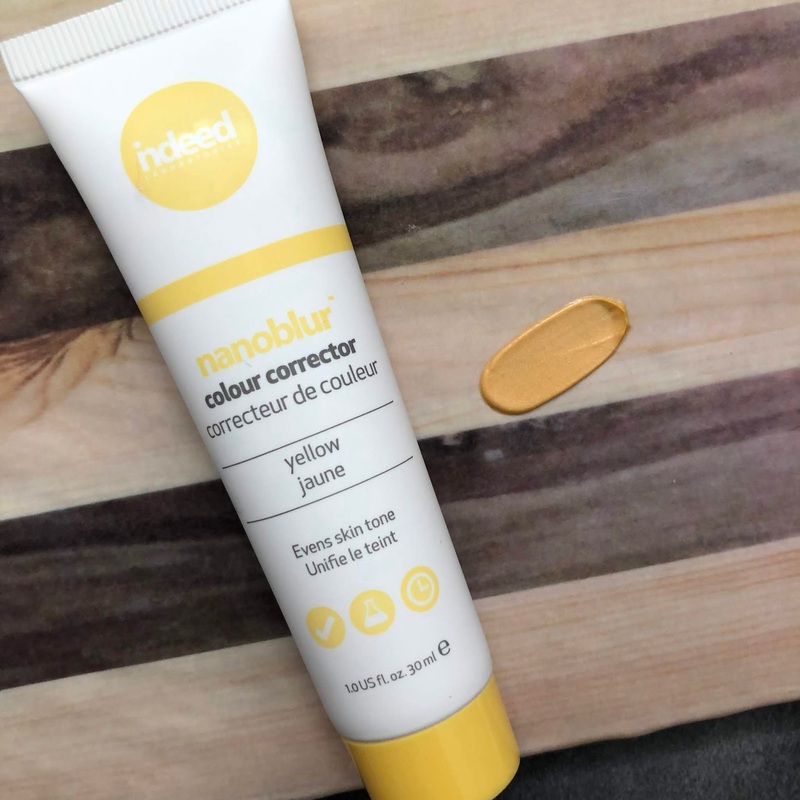 For those of you who are just looking to even out some redness, or add some brightness to the skin, wear this alone. 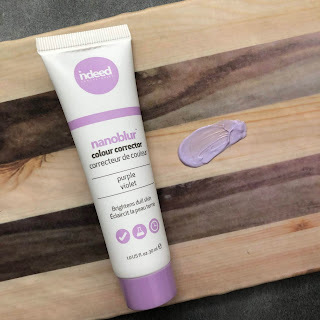 If you are looking to wear make-up on top of this, it works as an amazing primer as well as it blurs out and fills in pores to give you a great canvas to apply your foundation, and rest of your make-up routine. 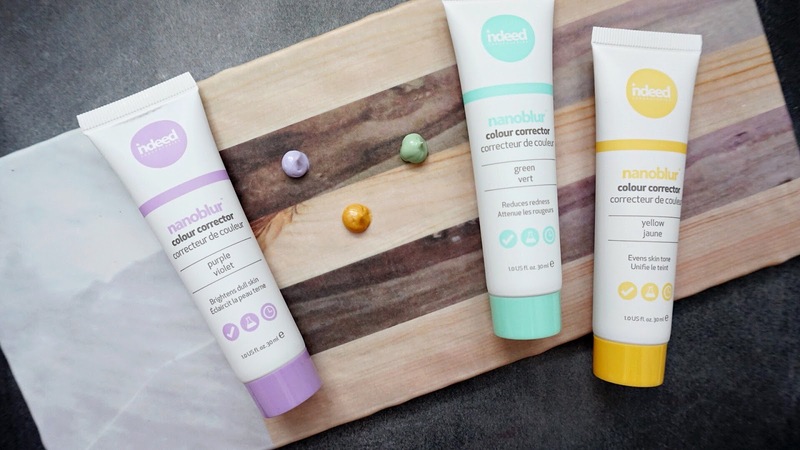 Each tube of product retails for $16.99 and contains 30ml of product - they are paraben and fragrance free. 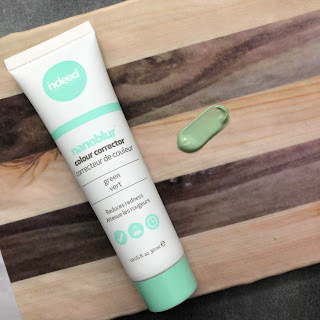 As mentioned above, this is also a skincare item as it contains Nigella Sativa Oil which is an antioxidant and contains anti-inflammatory properties. In addition, it also helps to moisturize and strengthen the skin as well. Talk about a two-in-one product! 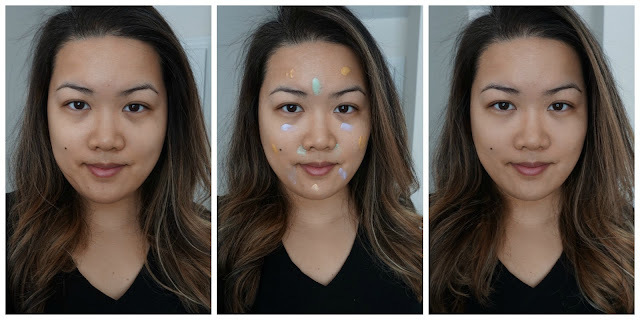 Below on the left is my bare face, middle is the nanoblur applied - different colors to address different areas on the face and their relative concerns. On the right are the products blended out - as you can see the color dissolves and is gone and while my face is not perfect right after application (I'll obviously still need concealer and maybe some blush), you can see that any skin discolorations around the nose, chin and eyes are blurred out and evened. I could easily just keep things simple, apply concealer, some blush and be about my day - I wouldn't even need to apply foundation because the discolorations I am normally concerned with are evened out. - this formulation contains inflammatory diminishing peptide reduces overall redness. 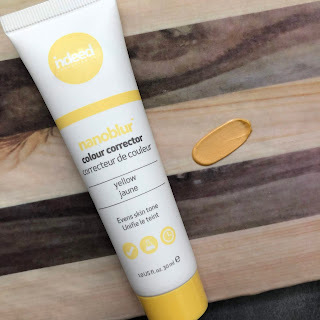 - helps to even out dullness and discoloration. Remember, these products can be used together on the face to address the different concerns you may have, or you can just use one if needed. As far as this product goes, I do believe that it is quite innovative - I get that color correctors have been on the market for a long long time, however one with actual skincare benefits as well is harder to come by, and at such a great price point!